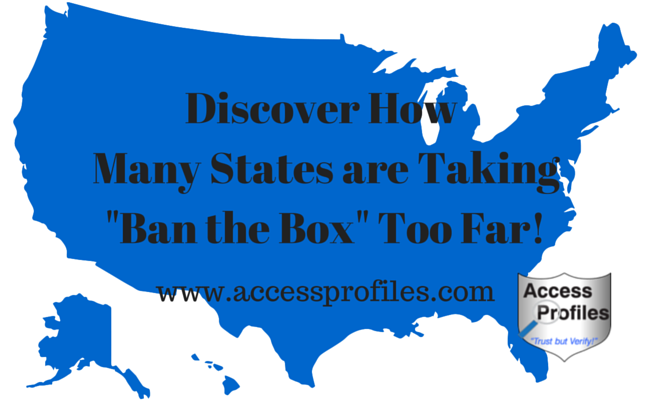 Access Profiles, Inc.: Discover How Many States are Taking "Ban the Box" Too Far! 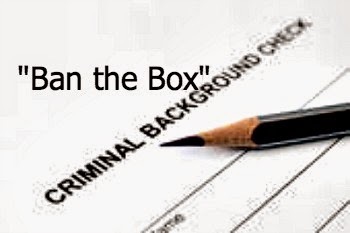 Discover How Many States are Taking "Ban the Box" Too Far! The Original premise of “Ban the Box” is being lost amidst a cloud of confusion. The movement set out to give applicants that had a prior criminal record a fair chance of gaining employment. By simply removing the “box” asking whether the applicant had a criminal record from the application, it afforded them a chance during the interview of proving they could do the job. While I was on board with what “ban the box” was initially trying to accomplish (and you can see this in a post I wrote on the subject, “What New Ban the Box Legislation Means to You”), it has morphed into something completely different. the need to give them the opportunity to explain or mitigate any of the findings. And a good company should be willing to determine whether any criminal offenses really keep the applicant from performing the job safely. This seems fair to all parties. Now many states and cities have muddied the waters. They have expanded the original intention and made it much harder for employers to comply or to have any control over who and how they hire. Even states like Illinois, that already had such legislation in place, have opted to increase its reach. One example of the expanded scope of new “ban the box” legislation is in San Francisco. In August, 2014, the “Fair Chance” ordinance was passed. The San Francisco law includes private companies of 20 or more employees, while many other states have limited their legislation to only include government employers. “Fair Chance” even covers temp, seasonal, and part-time workers. Under these limitations, even if a background check company discovers any of the types of cases listed, they cannot report them to the employer without opening up their client to possible litigation. In addition, any employer within the San Francisco limits must alter all their job postings. These now must include a statement that they will consider all qualified applicants, despite a prior criminal history. They also must place notices in any of their locations advising applicants of the “Fair Chance” Ordinance (in English, Spanish, Chinese, and any other language spoken by at least 5% of the area’s population). Washington, D.C. can also be added to the growing list of expanded “ban the box” proponents. Once again, obtaining a background check is not outright prohibited, but there are multiple restrictions in play. As in San Francisco, there are limitations to what records an employer can consider in making their hiring decisions. Those include convictions only (although an employer can ask about a pending charge discovered during their investigation). It is also necessary that any withdrawal of a job offer must be based solely on records directly relating to the job duties of the position in question and take into consideration the time since the offense, the age of the subject when the crime occurred, the frequency and seriousness of the offense, and any mitigating circumstances supplied by the applicant. Many of these requirements are above and beyond those in other “ban the box” legislation. It is more about telling companies "How to Hire" than ever. And the “Ban the Box” movement continues to grow and expand its reach. For now, the majority of ban-the-box laws apply only to public employers, but, as can be seen in San Francisco, it is beginning to impact private companies as well, with Illinois and New Jersey soon to join the pack. Hawaii, Minnesota, Rhode Island, and Massachusetts already have such laws in place. Advocates of “ban the box” see this as a logical step forward. In fact, larger private companies such as Target and Walmart have taken a proactive approach. They have already set policies into place that comply with some of the more stringent “ban the box” inclusions. And while many “ban the box” policies exclude small companies with 10 or fewer employees, some states are even eliminating that. Critics of “ban the box” see the current trend as excessive intrusion on a company’s hiring decisions. Giving extra protection to those with criminal records subjects employers to complicated hiring procedures and to possible litigation for making unsafe hires. They also believe these laws are a burden, especially to Small Business. The additional time and money it takes interviewing those who an employer later learns has a criminal record can be damaging. I don’t believe this debate will end any time soon. As more and more states are enacting or expanding their own “ban the box” laws, both sides will continue to disagree. A happy medium that is fair to both employers and applicants seems a long time away. 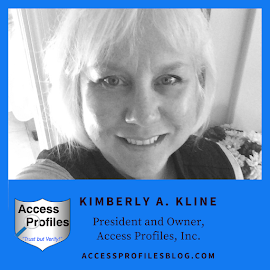 The key for all employers is to know the laws concerning hiring and background checks for any area in which you do business (as they may vary). Your background check company will keep you informed of any changes and help you stay compliant. Then Document, Document, Document. Make sure that all your compliance efforts are recorded and saved. This includes a subject’s application/resume, interview notes, notice of conditional offer of employment, background check reports, adverse action notices, etc. 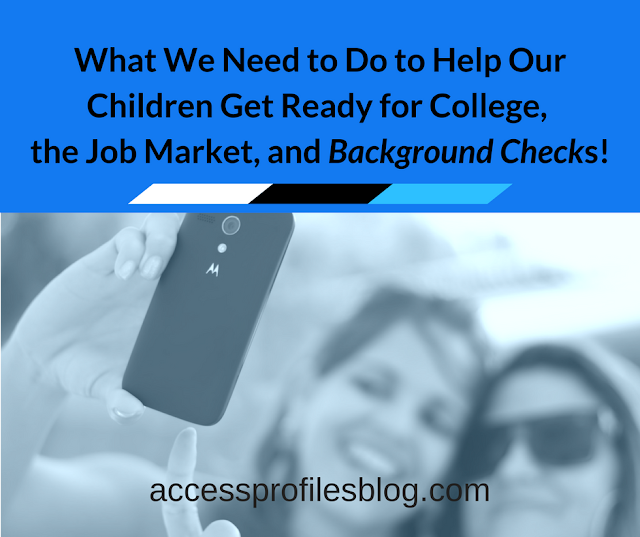 It is still important, and highly recommended, to use Background Checks as part of your hiring practices. The alternative can be costly to both you and your company. Just be sure to Follow the Rules! Need to Hire? I can help you hire the best candidate while making sure you are compliant. Contact me by email at accessprofiles2@comcast.net or through my website, www.accessprofiles.com . And for more articles designed to help you with your small business, subscribe to my blog, www.accessprofilesblog.com . Thanks, and I hope to hear from you!